58 apartments for individuals and low-income "kinship" families. 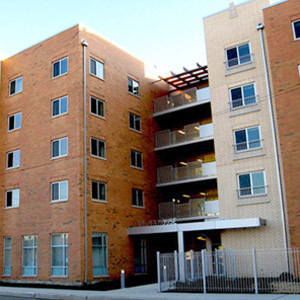 Sankofa Safe Child Initiative and Interfaith Housing Development Corporation of Chicago partnered in 2006 to create much needed low income housing for special needs populations in North Lawndale. The large apartments are targeted for low income kinship families consisting of adults raising children of close family members. Sankofa Safe Child Initiative has offices onsite to provide supportive services and assist residents in establishing linkages to community resources.